Oldie And Sleepy Hostel i Udon Thani, Thailand: Reservér nu! 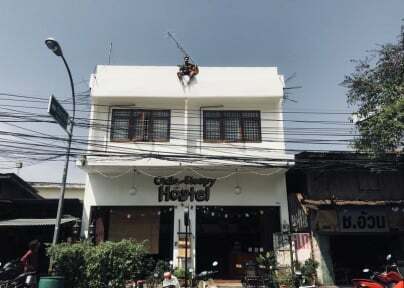 In Oldie And Sleepy Hostel, we will do our best to make your stay in Udon Thani as comfortable and memorable as possible. We wish to offer travellers an opportunity to meet other travellers and allowing them to exchange cultural experiences and make new friends. Oldie And Sleepy Hostel provides both air conditioning and fan dorms. All of the bunk beds come with free Wi-Fi; we also offer towel and bike rentals. There is also communal room and a rooftop terrace with great views over Udon Thani. Facilities include a tourism information board, free water, coffee, and tea. Our breakfast is available every day from 08:00 to 11:00 am.